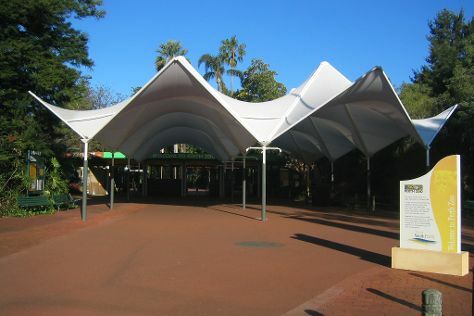 Attractions like Perth Zoo and Caversham Wildlife Park make great kid-friendly stops. Explore the numerous day-trip ideas around Perth: Rockingham (Rockingham Beach, Palm Beach, & more), Fremantle (Fremantle Prison, Fremantle Markets, & more) and Trigg (Mettam's Pool & Trigg Beach). Pack the 15th (Mon) with family-friendly diversions at Adventure World Perth Australia. Pack the 12th (Sun) with family-friendly diversions at The Maze, home of Outback Splash. There's lots more to do: walk around Kings Park & Botanic Garden, pause for some photo ops at Kings Park War Memorial, kick back and relax at Warnbro Beach, and contemplate the waterfront views at Swan River. For other places to visit, where to stay, and tourist information, read Perth trip itinerary planning tool . If you are flying in from United Kingdom, the closest major airport is Perth International Airport. In April, plan for daily highs up to 31°C, and evening lows to 15°C. Finish your sightseeing early on the 26th (Sun) to allow enough time to travel back home.